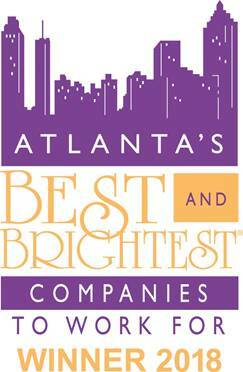 aspirent has again been named One of The Nation’s Best and Brightest Companies to Work For. The TechBridge nonprofit held their annual Digital Ball fundraiser today in Atlanta, inviting participants, donors and sponsors from across Atlanta’s thriving technology community, to an evening of charity and the celebration of good will. The aspirentCARES team is working with the great folks at the Atlanta Center for Self Sufficiency to help end homelessness in our Atlanta Community. Each year the Carter’s community is a proud supporter of the Pajama Program which helps to deliver warm sleep wear and nurturing books to children in need. This holiday season, Carter’s allowed partners including Aspirent Consulting to participate in their internal pajama drive. The aspirent Carter’s Team under Alan Fraser’s leadership rose to the occasion and collected 101 pair of new Carter’s Pajamas, adding to Carter’s goal of collecting 2000 pair for the holiday season. aspirent has been named One of The Nation’s Best and Brightest Companies to Work For. This is aspirent’s first year in business, and the first year on this Nationally recognized list which is an incredible accomplishment. “Nationally recognized award recipients keep innovative human resource initiatives at the forefront of their company culture and make it a priority to consider their workforce as an essential aspect in their company success. Our Association is proud to recognize and honor these winning companies for this impressive achievement,” said Jennifer Kluge, NABR president. 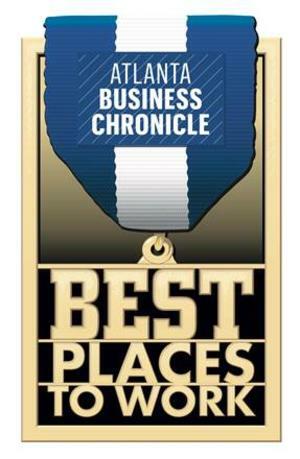 aspirent was named by The Atlanta Business Chronicle a recipient of the “100 Best Places to Work in Atlanta.” This is aspirent’s first year in business, and the first year on Atlanta Business Chronicle’s list, achieving a ranking of #46. The recognition reflects aspirent’s growth in Atlanta and highlights dynamic opportunities for aspirent’s Consultants to work in one of Management Consulting’s fastest growing companies. aspirent announced today that it has entered into an agreement to buy FivexFive Enterprises LLC. The FivexFive team has spent years building and delivering advanced analytics solutions for its global customers. The Aspirent Analytics practice will immediately begin to incorporate the FivexFive advanced analytics delivery tools and methodology into Aspirent engagements, as well as incorporate aspirent IT and data strategy work into FivexFive customer relationships. With this acquisition, aspirent significantly expands its data science and insights capabilities.